When he was deciding which law school to attend, Aaron Haight (JD 2018) remembers debating peers who dismissed U of T Law, despite its sterling reputation, because it lacked fresh-looking new facilities. Haight decided to go to U of T Law anyway, and in 2016 during his second year, he was on hand for the official opening of the Jackman Law Building. “I think the way they designed the building, the way it catches your eye as you’re driving along Queen’s Park, and with classrooms and meeting spaces where you can collaborate, it really brings the school together and gives us a sense of cohesion,” said Haight . The campaign for the building also brought more than 600 alumni, friends, faculty members and students together as donors, collectively giving $56 million, all led by the Honourable Henry “Hal” Jackman (JD 1956), who contributed a remarkable $11 million—and his surname—to the new building. “It makes me proud and somewhat humble that this is the place to which the young people who will lead the practice of law and justice in our country will come,” said Jackman. His support for the law building during the Boundless Campaign brings his total giving to U of T to more than $56 million, stretching over many decades, including support for the Jackman Humanities Building, the Jackman Humanities Institute and numerous scholarships. 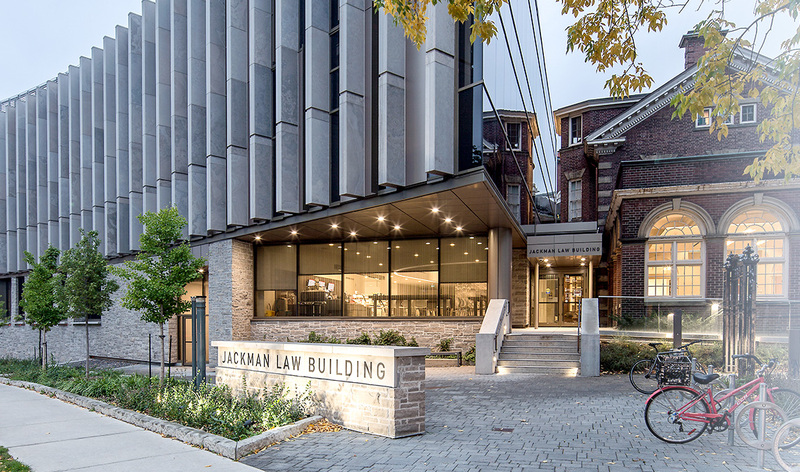 Before fundraising for the Jackman Law Building began, the Faculty of Law was well aware that its constrained facilities were limiting the Faculty’s potential to become a global research and teaching powerhouse. No less than three external reviews, along with extensive student feedback, had highlighted insufficient infrastructure as an increasingly serious issue. The award-winning Jackman Law Building addressed those concerns in one fell swoop. Designed by Hariri Pontarini Architects, together with B + H Architects, it houses classrooms, the Rosalie Silberman Abella Moot Court Room, faculty offices, admissions and student services, meeting and conference rooms, and the Bora Laskin Law Library. Its soaring Osler, Hoskin & Harcourt LLP Atrium acts as a central gathering place for the law school community, while the bright, glass-walled Torys Hall reading room offers one of the most inviting study environments on the St. George campus.